Cliona’s Foundation wants everyone to #forgettheworld as we Remember, Acknowledge and Celebrate those who have battled with a life limiting illness. Do you ever wonder WHAT IF? If you could have just one moment to look into their eyes, their perfect eyes if only for one last time. If you could just lay with them and just forget the world, if only for a moment- would you grab that moment with all you have? This January 21st, let’s all join together for those whose perfect eyes we no longer see, but only in our heart and memory. Young or old, let’s all in spirit LIE WITH THEM & JUST FORGET THE WORLD. 10 years ago we lost the most precious little girl who touched the hearts of young and old everywhere. January 6th 2016, she would be turning 26. If she was still here what would she be doing? Where would she be? Where would we all be? Would her name resonate with helping so many families? In December 2006, the angels decided her precious soul was meant for something bigger. While we lost a precious girl little did we know she was to be remembered forever by an even wider community, her legacy was to help so many others. Her memory has helped over 382 families. 382 families went to bed at night with one less worry. 382 families know and cherish her name. Unfortunately some of these 382 families now also experience the pain of having perfect eyes left only to be seen in memory. 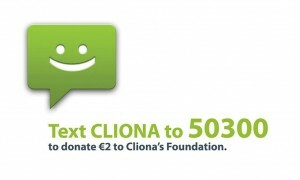 Cliona’s Foundation provide financial assistance to families caring for a child with a life limiting illness. 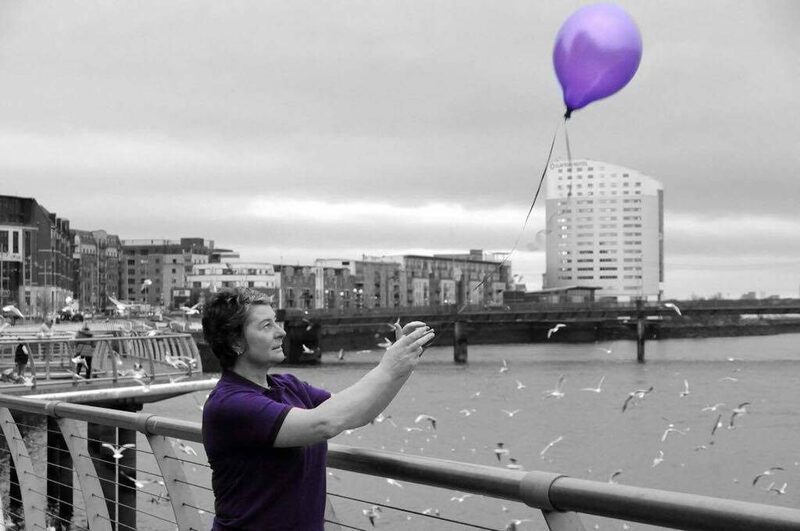 This year we want everyone to join together on January 21st, those of you who are wondering about the WHAT IF’s – where ever you are, whatever time zone you’re in, whatever you’re doing, take a moment and unite for those who we wish we could see one last time or for those fighting a battle with a life limiting illness. We ask that you send a message to the skies, write a note or put your worries down on paper and release it with a balloon. 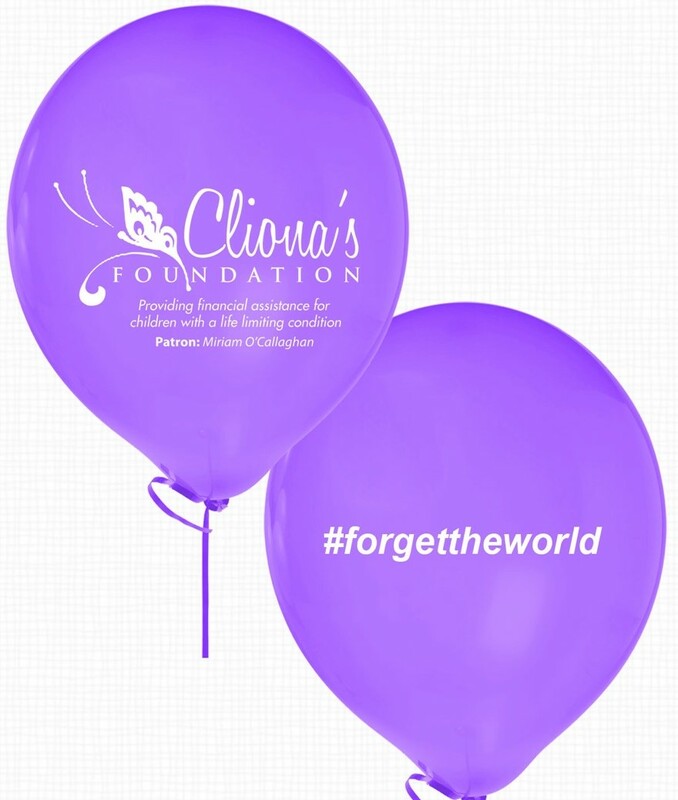 Share the moment through video or photograph and post on social networks with the hashtag #forgettheworld and tagging Cliona’s Foundation on Twitter or Facebook. Close your eyes, remember theirs, release a balloon and #forgettheworld. If you can relate we would be forever grateful if you would encourage your family, friends and colleagues to also take part on January 21st. Our mission is to help as many of the struggling families across Ireland as possible but we need to raise our awareness and let people know we are here to help.